legislation and in the field of law reform. He has participated in several major legislative reforms in Quebec, where he was Associate Secretary General, Legislation, of the Executive Council and Secretary of the Legislation Committee before joining the Commission. He also served for seven years with the Quebec Departments of Justice and the Attorney General, and he was responsible for preparing and drafting ministerial policy. of several board of directors of bodies connected with the administration of justice and the diffusion of legal information* in particular the Department Of Justice, the Centre communautaire juridique de Québec, the Law Faculty Of Laval University and the Société quebécoise d’information juridique (SOQUIJ). He was active for eleven years in the professional training of young lawyers in Quebec, preparing and giving courses and acting as a member of the examiners’ bureau for admission to the legal profession. He has also been Vice-Dean, Director of Undergraduate Studies and a professor in the Law Faculty of Laval university. He has practised law in Quebec for five years. Mr. Justice Létourneau holds a B.A. and a law degree from Laval University (LL.L. ), both with distinction, and he also has a masters degree in criminal law and criminology (LL.M.) from the London School of Economics and Political Science in London and a doctorate (Ph.D.) in law and criminal procedure, also from that university. 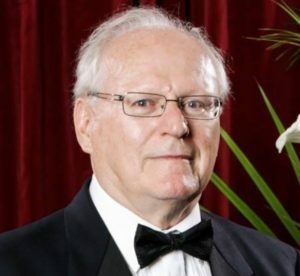 He is the author or co-author of over 100 texts, reports and articles connected with the law, legislation, the administration of justice and reform, including The Prerogative Writs in Canadian Criminal Law and Procedure, published by Butterworths in 1976. Canadian Military Law Annotated, 2006, two editions of an Annotated Summary Convictions Act published in 1979 and 1983, eight editions of an Annotated Code of Penal Procedure published in 1990,1992, 1995, 1998 , 2002, 2004, 2007 and 2009; the Final Report of the Study Committee an Violence in Amateur Hockey in Quebec; the three volume Report of Death Certificates and the Institution of the Coroner; and the five-volume report of The Commission of Inquiry into the Deployment of Canadian Forces to Somalia, entitled: A Dishonoured Legacy: The Lessons of the Somalia Affair. He was also the Quebec editor of the Canadian law report “Criminal Reports” between 1977 and 1985. In his article entitled ‘Anglo-American’ Military Justice Systems and the Wave of Civilianization: Will Discipline Survive?, Lieutenant-Colonel S.S. Strickey of the Office of the Canadian Judge Advocate General asks whether discipline will survive as a result of what he calls civilianization of military justice. In R. v. Gagnon, 2015 CMAC 2, the accused was acquitted of a charge of sexual assault prosecuted as a service offence before a military court pursuant to s.130 of the National Defence Act (Act). The Minister of National Defence (Minister) appealed to the Court Martial Appeal Court (CMAC) against the acquittal. In January of this year, in R.v. Moriarity and Hannah, 2014 CMAC 1, the Court Martial Appeal Court of Canada (CMAC) rendered a decision which amounts to an important move towards providing a better equality of rights to Canadian soldiers. Pursuant to s. 130 of the National Defence Act (Act), the military assumes jurisdiction to prosecute and try ordinary criminal law offences committed by members of the Canadian Forces and civilians accompanying or working under contract for them. Following an international conference on penal military justice systems held at the University of Ottawa for the first time in Canada, the United Kingdom Judge Advocate General, His Honor Justice Jeffrey Blackett, deplored the lack of independence and impartiality of the Canadian penal military justice in an interview conducted by journalist Noémi Mercier. In theory and principle, nobody is above the law in Canada. However, in fact and in practice the reality is quite different at least for certain individuals. Consider this. In R.v. Moriarity, 2015 SCC 55 the Supreme Court of Canada ruled at paragraph 54 of its reasons for judgment that criminal conduct by members of the military is at least rationally connected to maintaining the discipline, efficiency and morale of the armed forces even when they are not on duty, in uniform or on a military base. The Court went further and adopted the US status test: soldiers are soldiers 24h/day, 7days/week, 365days/year and 366days/on a leap year wherever they are, whatever they do and whenever they do it. The Court Martial Appeal Court of Canada (CMAC) could have gone much further in R.v. Moriarity and Hannah 2014 CMAC 1 than it did. It should be recalled that the Court found that par.130 (a) of the National Defence Act was not constitutionally overbroad because its application was conditional on the existence of a military nexus, i.e that the offence charged must be a service connected offence which would tend to affect the general standard of discipline and efficiency of the service and the moral of the troops. S.130 of the Act gives jurisdiction to military tribunals over ordinary criminal law offences and other federal offences (jurisdiction rationae materiae). In R. v. Korolyk, 2016 CM 1002 Chief Military Judge Dutil was asked by the accused to declare subsection 129(2) of the National Defence Act (Act) unconstitutional as its violates, on the one hand, his right to life, liberty and security of the person and the right not to be deprived thereof except in accordance with the principles of fundamental justice and, on the other hand, the right to be presumed innocent until proven guilty according to law in a fair hearing. These rights are constitutional rights guaranteed by sections 7 and 11 (d) of the Canadian Charter of Rights and Freedoms (Charter). Au cours des 30 dernières années, le système de justice pénale militaire canadien a été contraint par les tribunaux civils et militaires de se départir de certains atours dont se revêtait la chaîne de commandement au détriment des principes de justice fondamentale et des personnes soumises à ce système. À titre d’exemple, voici quelques-uns de ces atours exposant à nu les abus de ce système, ses carences, le disgracieux de l’effeuillage et, enfin, la nécessité d’une réforme en profondeur. Car les tenants de ce système ont soutenu devant les tribunaux, bec et ongles, le bien-fondé de tous ces abus dont pourtant l’illégitimité était souvent d’une évidence criante vu les droits constitutionnels garantis d’un accusé à la présomption d’innocence, à une défense pleine et entière ainsi qu’à un procès devant un tribunal indépendant et impartial. L’injustice des procès sommaires au Canada. Le système de procès sommaires est demeuré inchangé au Canada au cours des 328 dernières années. Sa caractéristique première et principale: un déni pour l’accusé de droits fondamentaux pourtant offerts aux accusés traduits devant les tribunaux civils. Un procès sommaire au Canada n’est régi par aucune règle de preuve.L’accusé est un témoin contraignable et peut être contraint de s’incriminer malgré le privilège contre l’auto-incrimination garanti par la Charte canadienne des droits et libertés de la personne. Son silence peut déboucher sur une inférence négative et préjudiciable.Son époux ou épouse ne bénéficie pas du privilège rattaché aux communications entre époux faites durant le mariage, faisant ansi fi du privilège conféré par la Loi sur la preuve au Canada. “Les cordonniers sont toujours les plus mal chaussés.” Ce proverbe français prend sa source dans une réflexion de Montaigne parue dans ses Essais dans les années 1500. Dans le langage courant il signifie qu’on ne profite pas toujours des avantages de sa profession. L’organisation du système de justice pénale militaire opérant sous la supervision du Juge-avocat général s’apparente à celle du cordonnier mal chaussé. Alors qu’il dispose, par son statut, des pouvoirs nécessaires pour faire procéder à la réforme d’un système à la fois boîteux , archaïque et injuste, nous avons plutôt été témoins d’une résistance farouche au changement. Lors de décès de militaires, les autorités militaires mettent sur pied une Commission d’enquête interne pour connaître les causes et les circonstances du décès. Le travail de cette dernière s’apparente à celle entreprise et conduite par un Coroner lors du décès d’un civil. Bien que la nécessité d’une telle enquête par les autorités militaires puisse se justifier, les conditions et les circonstances dans lesquelles elles sont toutefois menées non seulement laissent à désirer, mais sont aussi sources de profondes inquiétudes pour les familles des défunts et quant au résultat obtenu ou malheureusement recherché. Les enquêtes lors de suicides constituent un bel exemple de ces inquiétudes. Le droit militaire canadien est en mal de réformes substantives nécessaires pour entrer dans l’ère de la modernité et corriger les injustices qu’il comporte. Immédiatement il m’en vient à l’esprit une dizaine que je désire porter à l’attention des lecteurs dans une courte série de blogues. Énumérons-les. In a CTV National News release of December 2 and 4, 2016, entitled Military advances fight against sexual misconduct, the Canadian Chief of the Defense Staff (CDS), General Johnathan Vance, in reaction to victims complaints that the military courts were not handing down harsh enough punishments to deter bad behavior, told CTV’s reporter Mercedes Stephenson “that he will now discharge anyone found to have sexually harassed or harmed another member of the military, even if he or she has struck a plea deal in a military court. This statement and the policy yet to put down on paper raise worrying legal concerns. I was raised in French Canada in the Catholic faith. We were repeatedly told at school that, in one of her apparitions to the three shepherd children at Fatima, Portugal, the Blessed Virgin Mary would reportedly have said “Poor Canada”. Assuming the veracity of that we are still wondering what was meant by the statement, it is tempting to think that the way our penal military justice system has evolved so far and lately is what the prophecy is all about. Let me explain.